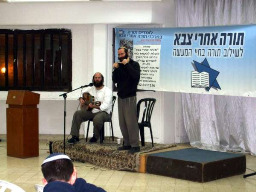 The “Torah after Army” goal is to establish learning centers throughout the country that would combine learning with practical life, ‘Torah im Derech Eretz”, that would enliven and invigorate their daily lives. Learning is done in groups with active participation by all. 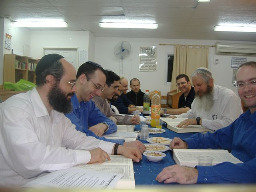 The participants feel a special bond to the Rav and consult with him in all spheres of life. 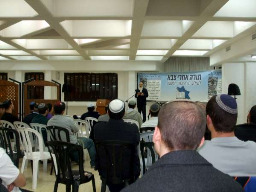 The subjects learned are varied and include faith, bible, talmud and halacha. There are special centers that combine kibbutz farm work, centers for women post-national service, and others. 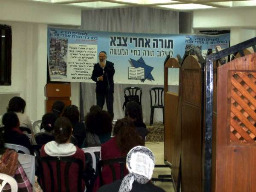 We also run learning centers in cooperation with Yeshivot Hesder and other organizations involved with religious Zionist army veterans. It began a few years back in Ateret Cohanim Yeshiva, where a class was opened for discharged soldiers who combined learning with working as security guards. After 2 years we were sent to establish a similar program in Sansana. After about a year, we came to the conclusion that, for practical reasons, it would be better to establish the program in the Tel Aviv area. After a year and a half, we decided to establish similar centers in Rishon Letziyon, Petah Tikva, Kfar Saba, Netanya, Beersheva, etc. Our plan is to create as many centers as we can in order to bring Torah to soldiers after they complete their regular army service, as close to their homes as possible.